Nov. 27, 2018 -- Every year in the U.S., depending on how bad the flu season gets, more than 9 million of us usually get sick. Sometimes it's as many as 36 million. And we all want the same thing: fast relief so we can get back to work, school, family obligations, or other things. This year, there are more ways to treat the flu than ever, thanks to the FDA's approval of a fourth antiviral drug, expected to be on the market in the coming weeks. How well do these treatments work, and who needs them the most? WebMD asked the experts to weigh in on treating the flu. The FDA approved the newest antiviral, baloxavir marboxil (Xofluza), in late October for people 12 and older. The drug is a single-dose oral medication. Like the other flu medicines, it needs to be taken as quickly as possible after the symptoms start -- ideally within 48 hours. It works by preventing the flu virus from multiplying. Its maker, Genentech, says it works against a range of flu viruses, including those resistant to other flu treatments and to avian (bird flu) strains. Oseltamivir is available both as a generic version or the trade name Tamiflu. Tamiflu was first approved in 1999; the FDA OK'd a generic version in 2016. It's available in pill or liquid suspension for people 14 days old and older. It is usually prescribed twice a day for 5 days. It can also be prescribed to prevent the flu, in which case it’s taken once a day for 7 days. Although the drugs work differently, they have the same result, says William Schaffner, MD, a professor of infectious diseases and preventive medicine at Vanderbilt University Medical Center in Nashville. Both drugs ''are taken up by the virus, and then they interfere with the virus's capability for reproducing itself, to multiply,” says Schaffner, who’s also medical director of the National Foundation for Infectious Diseases. “The illness is curtailed; the virus dies off." Zanamivir (Relenza) is a powder that’s inhaled. The FDA approved it for people 7 years old and above. It is usually taken twice daily for 5 days. Peramivir (Rapivab) is put into a vein by a health care professional; the FDA OK'd it for people 2 years and older. It is given one time for 15 to 30 minutes. Who Should Take These Drugs? During last year’s bad flu season, so many people were trying to get Tamiflu that some areas had shortages. Yet ''most people who are otherwise healthy and get the flu do not need to be treated with antiviral drugs," the CDC says. 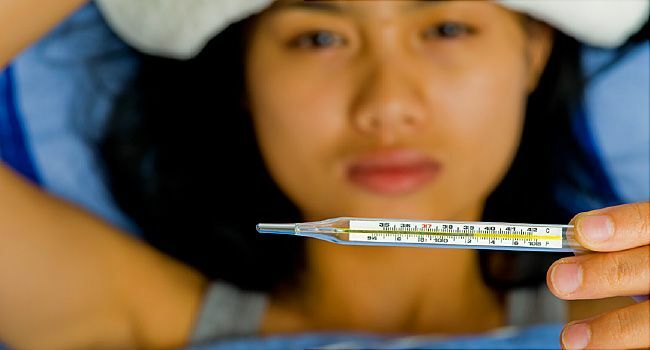 Still, the flu can have serious complications, such as pneumonia, heart inflammation, and organ failure. For that reason, certain groups who get the flu should take the drugs, not only to help them feel better, but also to prevent these complications. People with health conditions including asthma; blood disorders such as sickle cell disease; lung disease; heart disease; kidney or liver disorders; diabetes; people who are obese with a body mass index (BMI) of 40 or above; and those with weakened immune systems, such as from HIV, AIDS, or cancer. In real life, many people outside these groups request the drugs, says Lisa Dabby, MD, an emergency room doctor at the Nethercutt Emergency Center at the UCLA Medical Center, Santa Monica. "Everyone who comes in to the ER [with flu] wants that," she says. Doctors say they discuss risks and benefits at this point. For generally healthy patients who request the treatments, the decision ''is based on a discussion with them about side effects," says Paul Auwaerter, MD, clinical director of the division of infectious diseases at Johns Hopkins University School of Medicine and the Sherrilyn and Ken Fisher professor of medicine. None are miracle drugs, Schaffner reminds patients. They can cut how long the flu lasts by about a day. But for some people, lessening time off work by even a day is valuable, Dabby says. The 48-hour window is important, experts stress. After that, the virus may have spread so much the drugs won't work. If a person is otherwise healthy and wants to start the antiviral treatment more than 48 hours after symptoms began, "I won't prescribe it," Dabby says. "At that point, the risks outweigh the benefits." Most commonly, patients on the antivirals report diarrhea and nausea, Dabby says. Other side effects can be headache and common cold symptoms. In children, Tamiflu has been linked with some psychiatric side effects. That may include irritability along with occasional seizures, Schaffner says. "That has made some pediatricians cautious about prescribing Tamiflu in young children." Those symptoms go away when the drug is stopped, he says. Results vary, but most experts say the drugs shorten the illness by a day or so. The FDA approval of the new drug, Xofluza, was based on studies comparing it with a placebo and with oseltamivir (Tamiflu). In one study including more than 1,000 patients, the median time to symptoms improving was about 54 hours with Xofluza and 80 with a placebo. The researchers found the time it took for symptoms to get better was similar with Xofluza and Tamiflu. According to Genentech, after one dose of Xofluza, patients had 2.3 more days of flu symptoms, compared with 3.3 more for placebo. Costs also vary. Heather Gloe of Genentech, which supplies both Xofluza and Tamiflu, says the wholesale cost of Xofluza is $150, similar to Tamiflu, which is about $152. Your actual cost may vary, depending on your insurance. The company is planning to offer a coupon for Xofluza once it launches. "Patients with commercial insurance that covers Xofluza and use the coupon may pay as little as $30," Gloe says. What Else Works for Flu Treatment? Many people swear by home remedies, including putting onions in your socks and taking the supplement elderberry, to ease flu misery. Proponents say the onion's acid compounds kill the nasty flu virus. Elderberry proponents say it eases symptoms. According to the National Institutes of Health, "There is currently no strong scientific evidence that any natural product is useful against the flu." "In terms of natural products, I don't give a recommendation for them," Auwaerter says. But, he says, he understands that ''people often feel better doing something than nothing." He and other experts recommend what they term supportive care: fever reducers such as acetaminophen, plenty of fluids, and bed rest. Hydration is crucially important, Schaffner says. "You frequently are so ill you have to rouse yourself from your bed of thorns and make yourself drink fluids. Water is fine, flavored or sparkling. Alcohol doesn't count. Coffee and tea don't count, they have caffeine [and are dehydrating]." "Dehydration predisposes you to pneumonia," he says, and that's one of the complications everyone needs to avoid. An earlier version of this story incorrectly said that the median time to flu symptoms improving with Xofluza was was 53 hours. It should have said 54 hours. New England Journal of Medicine: "Baloxavir Marboxil for Uncomplicated Influenza in Adults and Adolescents." News release, FDA, Oct. 24, 2018. NIH: "5 Tips: Natural Products for the Flu and Colds: What Does the Science Say?" CDC: "What You Should Know about Flu Antiviral Drugs," "Frequently Asked Flu Questions 2018-2019 Influenza Season." News release, Genentech, Oct. 24, 2018. William Schaffner, MD, professor of infectious diseases and preventive medicine, Vanderbilt University Medical Center, Nashville; medical director, National Foundation for Infectious Diseases. Lisa Dabby, MD, emergency room doctor, Nethercutt Emergency Center, UCLA Medical Center, Santa Monica, CA. Paul Auwaerter, MD, clinical director, division of infectious diseases and Sherrilyn and Ken Fisher professor of medicine, Johns Hopkins University School of Medicine, Baltimore.